Forget about plucking, shaving, threading and waxing as it'll take up a lot of your time. Just relax and enjoy the latest IPL hair removal technology over at La Soul Beauty Face & Body Salon. You'll see incredible results with each session thanks to their specialists with many years of experience. 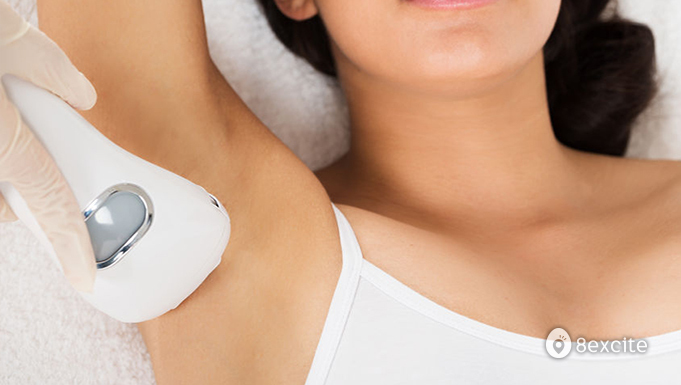 With such effective hair removal solution, you'll have smooth skin in no time. Valid on Tuesdays to Sundays from 10.30am to 7pm (including selected Public Holidays, call to enquire). Each voucher is valid for 1 target area for all sessions. Reservation required and must be made at least 24 hours in advance. Call +6017-551 5514 with your Name, Date, and 8excite Voucher. Booking and rescheduling is subject to availability.